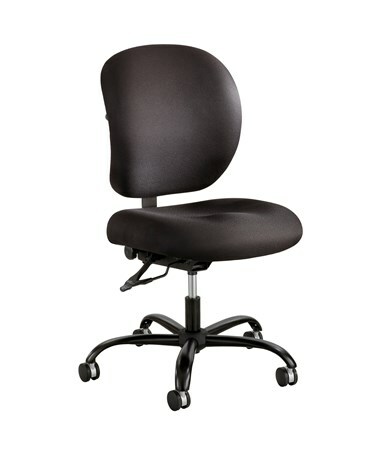 The Safco Alday 24/7 Task Chair is a hard-wearing, black and tall task chair designed intensive use. 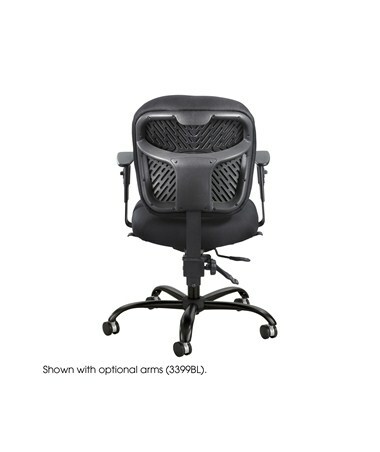 It features supportive cushioning in the seat and back that deliver an ergonomic shaping to provide comfort over long hours of work. 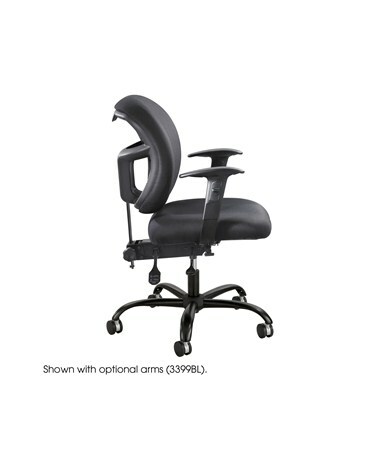 Also featured are pneumatic height adjustment, backrest height adjustment with reinforced lumbar support and tilt adjustment, 360 degrees swiveling seat, and posture lock. This chair can hold a weight of up to 500 pounds and is mobile on the 2.5-inch dual wheel carpet casters attached to the 26 inches diameter five-star base. 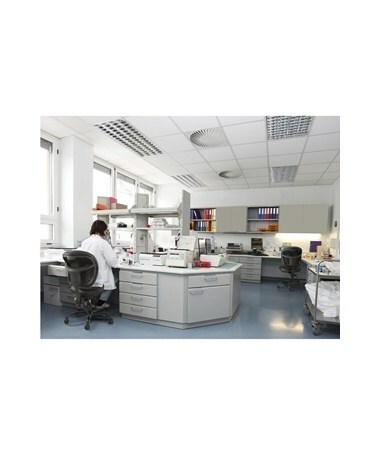 The chair’s body is made of nylon while the frame is made of steel. 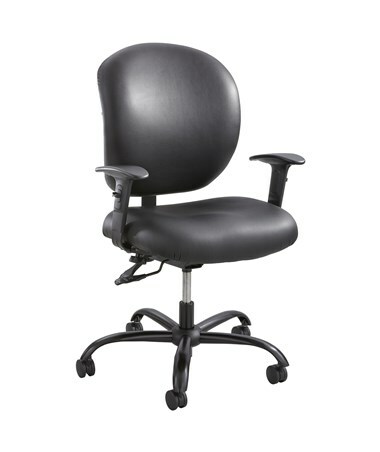 It meets ANSI/BIFMA industry safety standards and the FED-STD 834 performance test method for intensive use chairs. 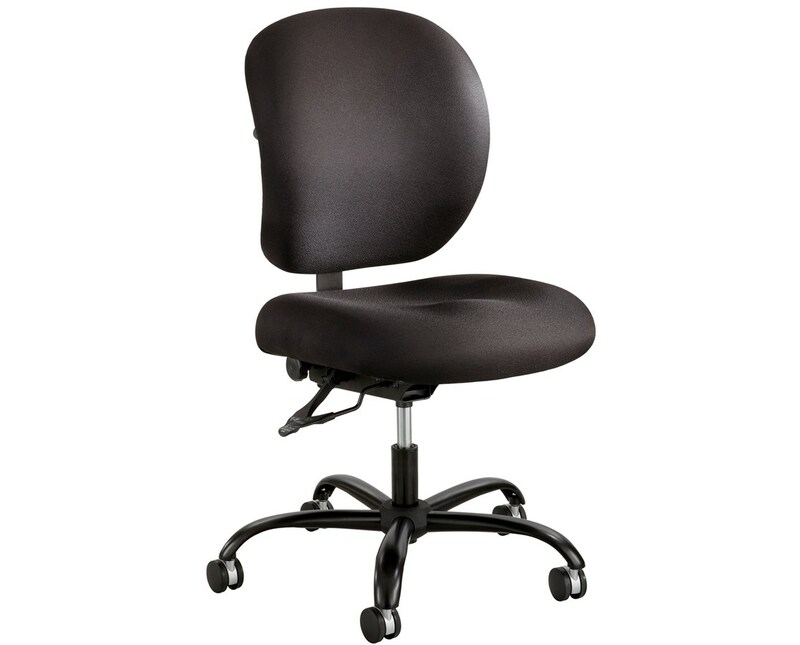 The Safco Alday 24/7 Task Chair is available in two different upholsteries. Please select your preference from the choices above. Height 35" ½ to 38"